Dr. Cynthia Glover is a 1997 graduate of Texas A&M College of Veterinary Medicine. She practiced companion animal medicine in Juneau, Alaska and the Seattle area before taking a brief time off to earn a masters degree in Pathology at the University of Washington. While researching a question that came up in a martial arts class, Dr. Glover found herself delving into some of the principles of Traditional Chinese Medicine, and realized that this is a powerful healing modality that she wanted to bring to her patients. Dr. Glover studied veterinary acupuncture at the Chi Institute of Traditional Chinese Medicine, and since her certification, has continued her studies with coursework in evidence-based herbal medicine, Acupuncture, Tui-Na, and TCVM for neurological disorders. Dr. Glover is also eaned a certification in the Human-Animal Bond from NAVC in 2018. 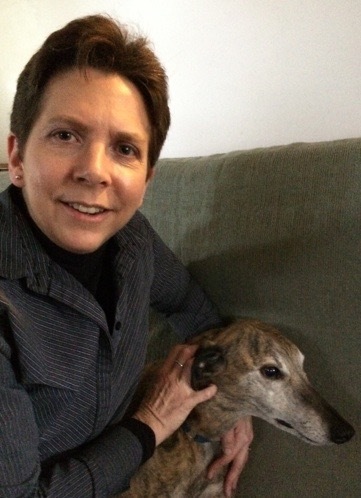 Dr. Glover is owned by two rescue greyhounds, and volunteers with Greyhound Pets Inc ! Practice Philosophy: Health is not merely a matter of treatment of disease; it is a balance of an individual’s interaction within itself, its environment, and its interactions with one another. Maintaining a healthy balance prevents illness.